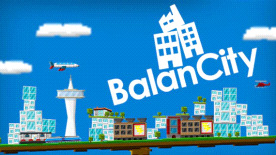 BalanCity is a city building / balance physics game. It's a mixture between old school SimCity and Jenga. You must build the tallest towering city over a balancing platform while keeping your citizens happy. You can build residences, offices, power plants, train stations, airports, landmarks and more. Beware of disasters, as your city will eventually face doom in the form of fires, earthquakes, meteor strikes, UFO attacks, monsters and more! Will your city survive the test of balance? See it for yourself! Free Build: A sandbox where your only limit is gravity. Missions: Levels that have a goal to achieve and limited resources. Scenarios: Based on real life cities, you must build all the landmarks before the city collapses.